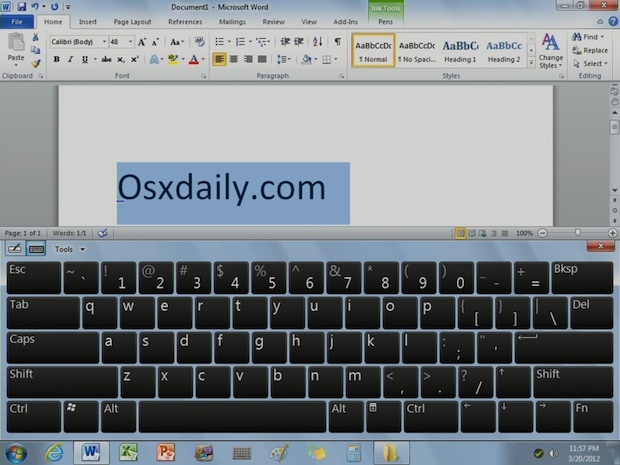 Want to run Windows 7 right on an iPad? 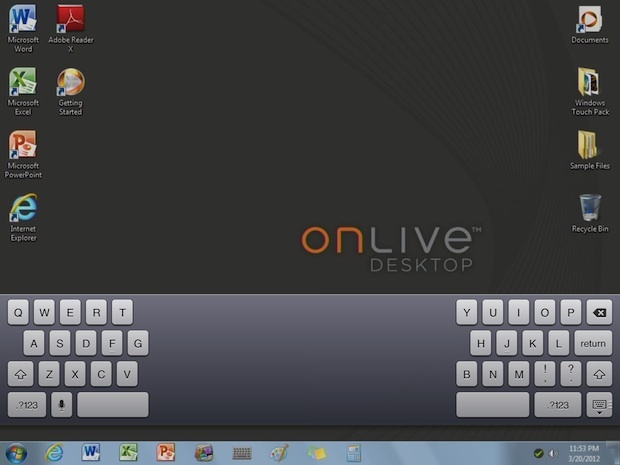 OnLive Desktop does exactly that, letting you access a cloud-based Windows 7 PC directly from iOS. 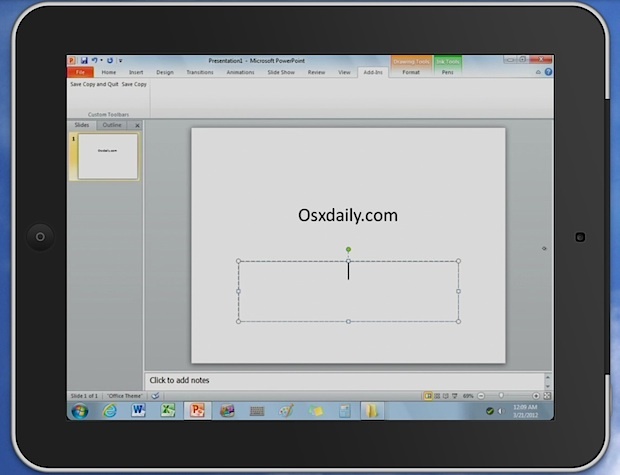 Complete with the full Microsoft Office 2010 suite, you can use Word, Excel, and Powerpoint with full touch controls, and believe it or not it’s actually really fast and fluid. Amazingly, this is free for the first 2GB of virtual storage space on the cloud PC, though additional storage and paid plans are available. The paid plans start at $4.99 and include up to 50GB of storage, provide access to more Windows applications, add DropBox support, and also bring full Internet Explorer access with Flash (useful for web developers who don’t want to run IE in virtual machines). The account signup process requires an email but is otherwise quick and painless. Enter that ID into the app, and you’ll immediately find yourself on the desktop of a Windows 7 machine, right on the iPad. Try this service out and get it while you can, because there is some question as to how long OnLive Desktop will be around. Microsoft is actively complaining that the service violates their Windows 7 licensing agreements, though OnLive is adamant that it’s supported and is willing to fight for it. Hopefully the two can come to an agreement and keep the OnLive service alive, because frankly it’s a cool technical feat and also has some very useful applications for the real world. Better yet, Microsoft should just buy them and offer the service directly with Windows 8 Metro, which is optimized for touch and may well be a significant competitor to iOS down the road… who knows. Anyway, check it out, even if you don’t like Windows it’s impressive to try out the free service. Now, who wants to offer the same service for Linux and OS X? Caveat: not available in the UK Apple Store! Unfortunately, this is not available in the Canadian App Store. I am surprised this isn’t Microsofts offering, though they seem hellbent on rejecting the inevitable future. BTW there are also a handful of Windows touch games available on the desktop and Adobe Acrobat Reader. This runs very well, though I agree that it should be Windows 8 Metro for the best experience. It would even look better because the tiles are larger and would stream better. The only issue I see is the reliance on a high speed internet connection, but that is to be expected until VMWare or VirtualBox is brought to iOS. Free version is locked down tight, could not even use IE to browse. A lot of hesitation also. Keyboard kinda small. Overall impressive, but back to my Mac!! Microsoft is suing this company over the app. MS isn’t against in principle (say they), but is getting no income from the free use of their most sacred cow other than all the Win variants themselves. PS: DO expect the main office apps being released in native iOS versions by Redmond within months btw (One Note’s already out). They haven’t denied it, and need to keep their hands on the doc standards of the world as iOS finally brings Apple into the Enterprise in a big way. Works good but without the plus it’s useless!!! Well, it works as intended. Office 2010 Word is impressively speedy at the start. One thing for sure I can now upload a couple PowerPoint presentations to the sky and quickly modify some slides right before beaming my work at the meetings. Since when you got a free lunch from the MS folks? Isn’t this basically VNC? 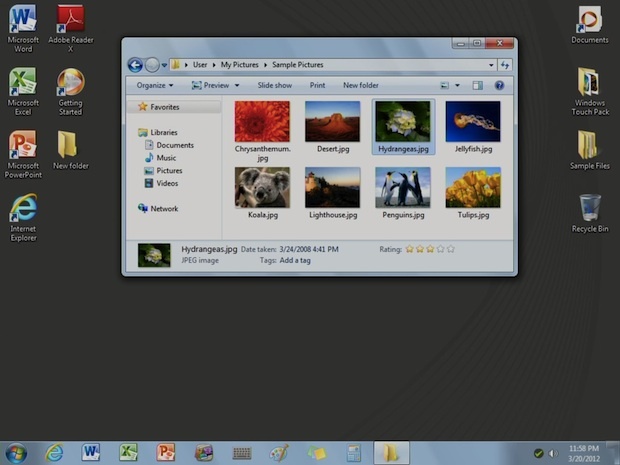 Why not just use Screens for iOS and VNC to a Windows, Linux, or OS X box? this is as amazing as it can gets. cant wait to go home and check this one out. I hope I can download this and get to work with it. When I download this app, it asks for an existing acct and password, which I never set up. I’m new at all this…can someone help me? Thx!